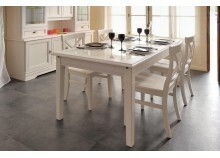 The GetFurnished.com online store offers you its selection of modern furniture for the dining room. Opt for a furniture rental for the simple dining room at low prices, it will allow you to beautify your home while enjoying pleasant meals. Thanks to a flexible and clear contract, you can keep the rented furniture for an interval of between 1 and 36 months. Then, at the end of the contract, you simply have to return the rented furniture. 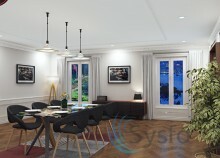 The GetFurnished.com online store offers you designer and modern dining room furniture that will enhance your interior. Need a cupboard to store dishes? A table where you can have your meals? Find here everything you need to feel perfectly settled in your short-term accommodation. Why rent furniture for the dining room? The dining room is a place where you can spend beautiful moments around a dish, whether with your family or friends. But, the various modern dining room furniture can quickly become expensive. It is therefore preferable to opt for rental, which remains a simple, fast and inexpensive solution. So, by spending little, you can equip your dining room in the best way possible, and enjoy it to the full. - The Price: With the GetFurnished.com online store, there is no need to plan large amounts of money. The designer dining room furniture that is offered is available at low prices! So save money by equipping your dining room with the furniture rental offered by the shop. 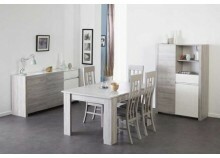 - Quality: Do you want modern and solid dining room furniture for your home? The GetFurnished.com online store offers you first-class deals, whose quality is well proven. So choose the best without compromising! 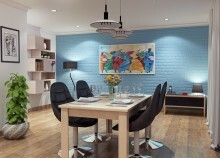 - Simplicity: GetFurnished.com Online Store is dedicated to making your rental experience easier. Whatever the item, a quick home delivery is offered by our service. Similarly, at the end of your contract and when you return the property, we take care of collecting the rented furniture to avoid any hassle for you.